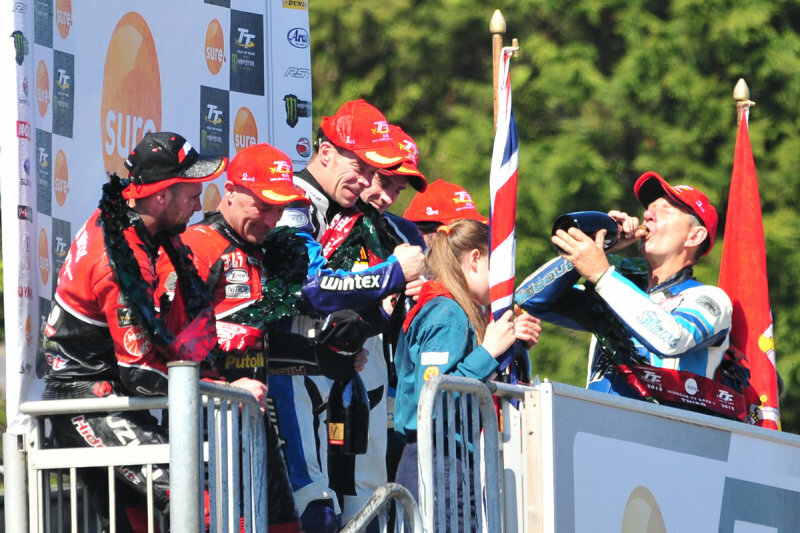 Sidecar race 2 podium. Dave Molyneux, second from the far left and second in this race, does his best to smile. He does not enjoy not being on the top step.